Appearance: Pours medium amber color with a thick off-white, two-finger head. Head relaxed very slowing leaving behind some good lacing. Smell: This beer has a very sweet aroma about it. There is no mistaking the sweetness is from the malts. There is very little spiciness to the smell. I noticed a little flowery hoppiness but there was no trace of the spices you normally smell in these winter brews. Initial Taste: Just like it smells the flavor is mostly sweet malts with that side-note of flowery hops that help balance it out. The flavors are somewhat muted compared to others of this style. Little to no aftertaste. Thoughts: This is a solid winter beer. It has a nice sweet flavor that is balanced by the flowery yet bitter hops. Missing from this beer are the spices you normally find in winter brews; cinnamon, cloves, nutmeg etc. If spicier brews are more your thing (like Abita or Anchor Steam) this may be too tame for you. However, because the flavors of this beer are so smooth and soft it makes for a Very easy to drink beer. This will definitely become my winter session beer. 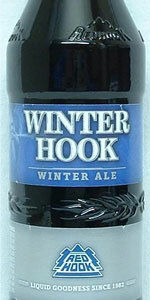 While not as flavorful and aromatic as some others this is certainly a terrific winter brew. *You may notice there is a year (2009) in the title of this beer. This is because the recipe for this very special ale is different every year.